We converted this book from a customer supplied word document to standard epub and mobi. Prior to the conversion stage we designed the front cover and added Ebook Designer's Touch™. Once Steve approved the conversion, we then distributed his ebook to Apple, Amazon, Kobo and Google. It was great working with Steve and we hope to again in the very near future. 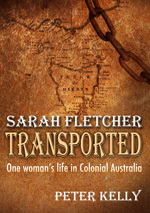 Escaping the hangman’s noose gave Sarah Fletcher the courage to seize any opportunity that convict life in Van Diemen’s Land offered, but she was obliged to speak out against the Black War and what she saw as an obscene loyalty test whereby convicts had to demonstrate their moral rehabilitation by applying the final solution to Tasmania’s Aboriginal population. 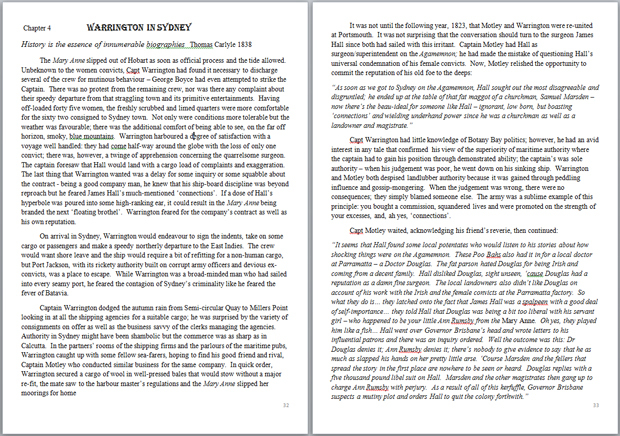 Transplanted once again ‘beyond the limits of settlement’ in NSW, Sarah witnessed the upheavals of Eureka and the Lambing Flat riots. The discovery of gold at Burrangong completed the dispossession of the Wiradjuri people, while corrupt officialdom helped create gangs of bushrangers. Sarah Fletcher was involved in these critical episodes of Australian history, as well as suffering her own personal tragedies - what emerges is an insight into our national character. Sarah Fletcher’s life story is spiced with anecdotes of local identities: Ikey Solomon (the original Fagin), Jorgen Jorgenson (‘the King of Iceland’), ‘Blind Freddy’ Pottinger – characters that show the light and dark sides of colonial times.